Now is the perfect time to experience the dazzling southern skies in all their glory and with daylight saving coming to an end, stargazing season is in full swing. 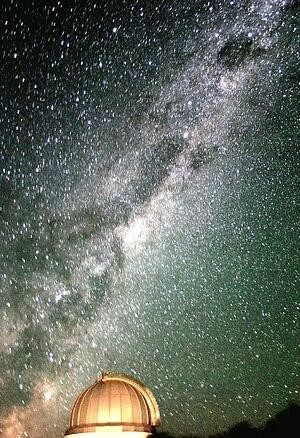 The most important astronomer’s tool is the absence of light and with the recent news that light pollution has made the Milky Way invisible to a third of the world’s population, the New South Wales’s rich dark skies make a must see spot for viewing the heavenly bodies overhead. So as not to confuse Venus’s bright lights with your Neighbours bug zapper, the remote regions in NSW make them a region for celestial appreciation of the night canopy, and an awe inspiring destination for exploring the exciting world of astronomy. Visiting Astro/Stargazing Observatories is the way to go and many of them are far enough from the bright lights so that they can transport you to distant galaxies millions of light years away. Exploring the highlights of the southern sky right in the city itself! Sydney observatory is located on a hill and is one of the highest points overlooking Sydney Harbour, Sydney Harbour Bridge and giving some of the best views of the city. 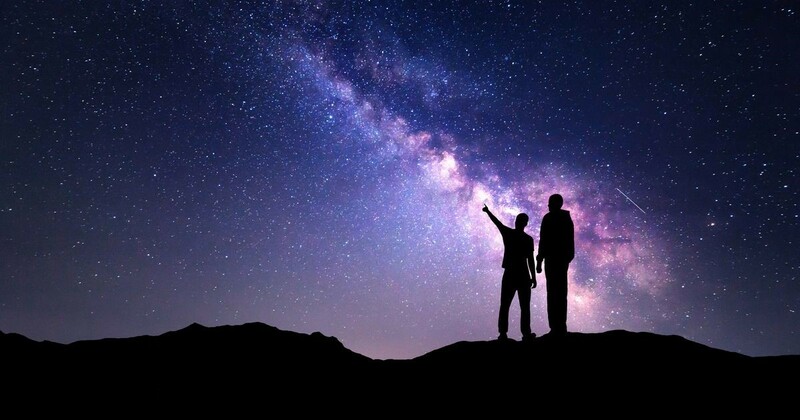 As well as being a good place to start exploring the skies you can take a look the impressive exhibitions, starting with the Aboriginal astronomy, then looking at the collection of historic and modern telescopes, instruments, artefacts, books, and photos. Then climb up the oldest working telescope in Australia, and explore the skies alongside the guidance of experienced astronomers. Afterwards the Universe can also be explored in their 3-D Space Theatre or go under the dome of the Planetarium and tour the southern sky. There are also captivating films about astronomy, the history of space flight and much more. By day you can explore the Observatory’s beautiful grounds, as well as admiring the heritage listed sandstone building and exhibitions for free. Then book in the Observatory for a night or day tours or workshops to understand the early Indigenous astronomy or a range of short courses. Six hours from Sydney Coonabarabran (abbreviate to Coona) is known as the ‘Astronomy capital of Australia’. It proudly wears this title as it is and impressive place for stargazing because of the high altitude (505m), low humidity and pristine air quality. 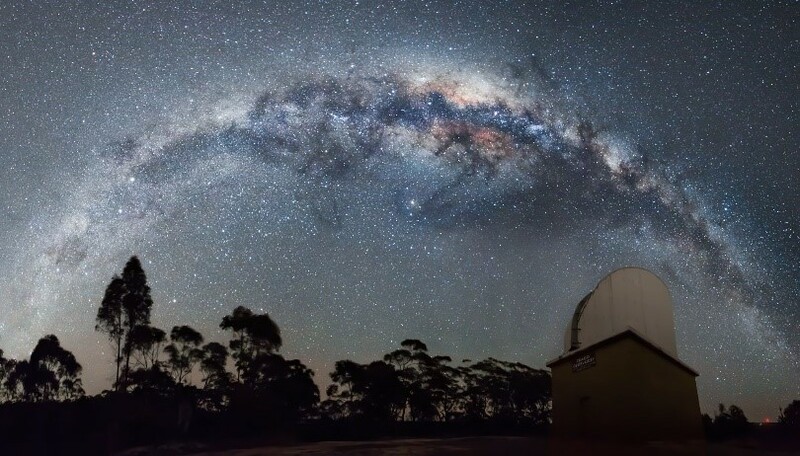 Located on Mount Woorat approximately 25km west of Coona and bordering the edge of the beautiful Warrumbungle National Park, the site is the largest observatory in Australia and is a working research observatory. There are no evening facilities for viewing but the visitor centre will astonish you with the complexity of the solar system and impress you with the scientific research undertaken by astronomers of the site’s observatories. What a find! 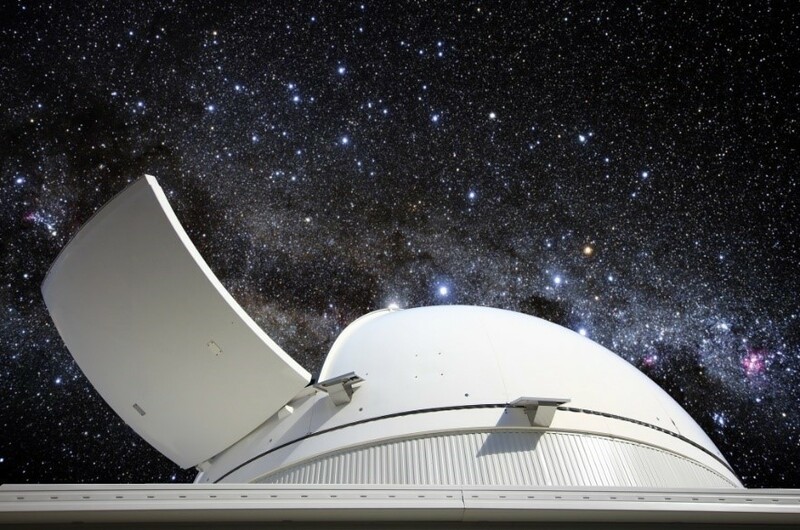 Milroy Observatory holds the largest telescope in the southern hemisphere which is open to the public! This refurbished 40” telescope was decommissioned from Siding Spring Observatory and now sits on a hilltop just outside Coonabarabran. Due to the size of the telescope you can see the night sky in more detail. The astronomer in charge will guide you through looking at our galaxy, nebullas and even the Magellanic Clouds and he will even assist you to take stunning astrophotography through the telescope. Milroy is located 10 kilometres North West of Coonabarabran, at Morrisseys Road just off the Baradine Road, then 200 metres then turn left at the gate with the “solar lights” where you can follow the road up the hill Milroy Observatory can cater for groups and has a six bedroom house on its rural property. 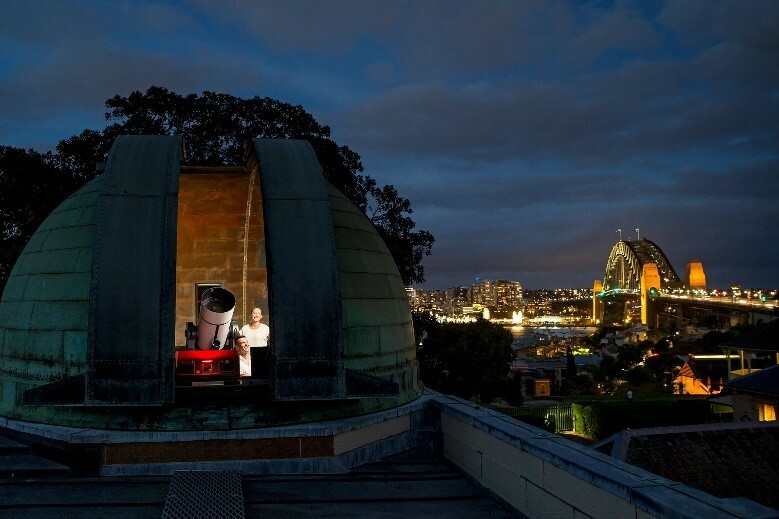 For nocturnal enthusiasts, volunteers from the Western Sydney Cosmic Data Lab also hold astronomy nights on most Saturdays of the year, regardless of the weather. 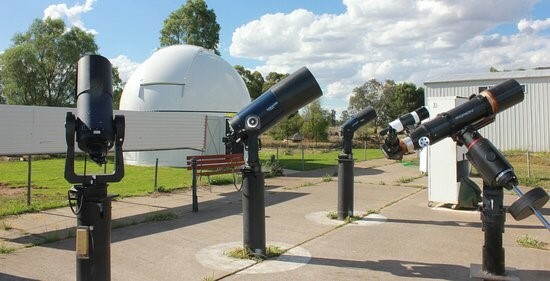 Located on the Western Sydney University’s Werrington North campus, Penrith Observatory offers fun talks, workshops and astronomy nights for the public and school groups. Situated in the shadows of the Blue Mountains, Sydney’s lights are but a dim glow, so enhancing the stars incredible bright lights! The Linden Observatory site celebrates the brilliant amateur astronomer Kean Beames, one of Australia’s most famous telescope manufacturers. Linden’s heritage listed building, which was the home to Beames’s telescopes and dome, is now operated by Western Sydney’s Amateur Astronomy Group and visitors may attend the Club nights by booking on the website above. On Saturday’s closest to the new moon the group holds observing nights for enthusiasts. Members with telescopes gather on the lawn in front to the main viewing platform and are keen to help visitors navigate the skies. Beginner’s astronomy courses on the weekend of each new moon are held nearby. 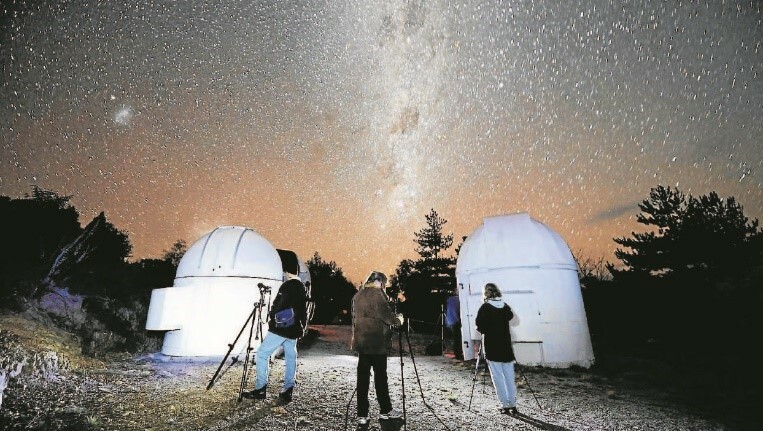 Mudgee Observatory is a fifteen minute drive to the west of Mudgee, in the perfect location to get extremely dark skies far enough away from town lights and the lights of the Ulan mines. 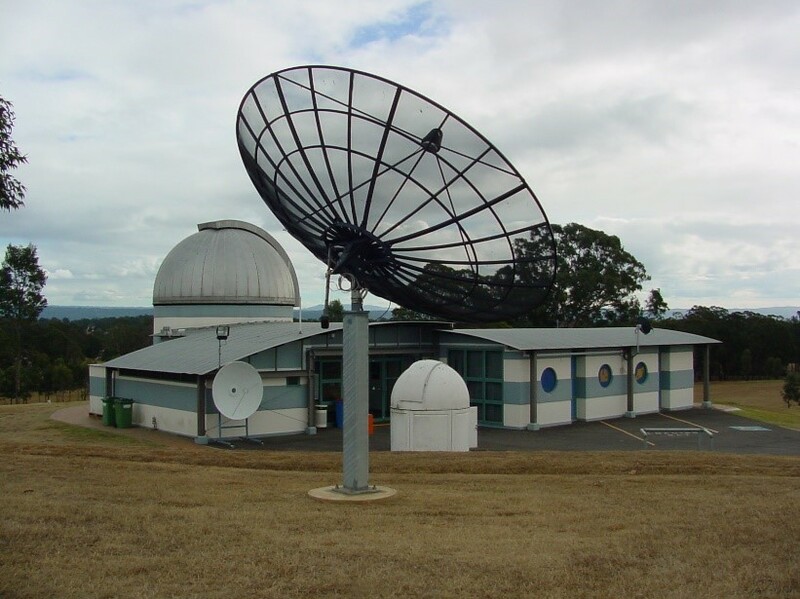 The facilities are occasionally used by the University of NSW and Southerland Astronomical Society. Open to the general public the powerful telescopes are used to transport people to the distant galaxies millions of light years away. A variety of telescopes and binoculars are available for visitors and well as informative tours of the night sky. There is a theatre and flat screen planetarium runs features on the night sky, the Sun and space missions. For those who do not want to stay up at night, they also run some daytime viewing for the Sun. Bookings are essential for both night and day sessions. The observatory shop sells coffee, cold drinks and confectionery as well as books on astronomy. 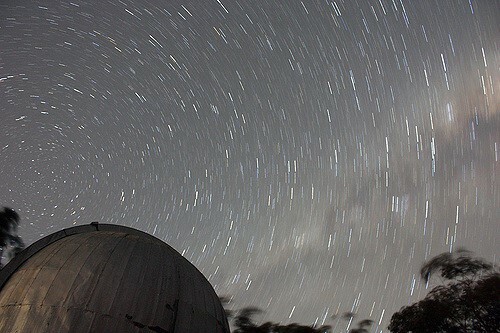 Situated in the middle of the Blue Mountains National Park, the Observatory is the Astronomical Society of New South Wales (ASNSW) “dark sky” observation site. 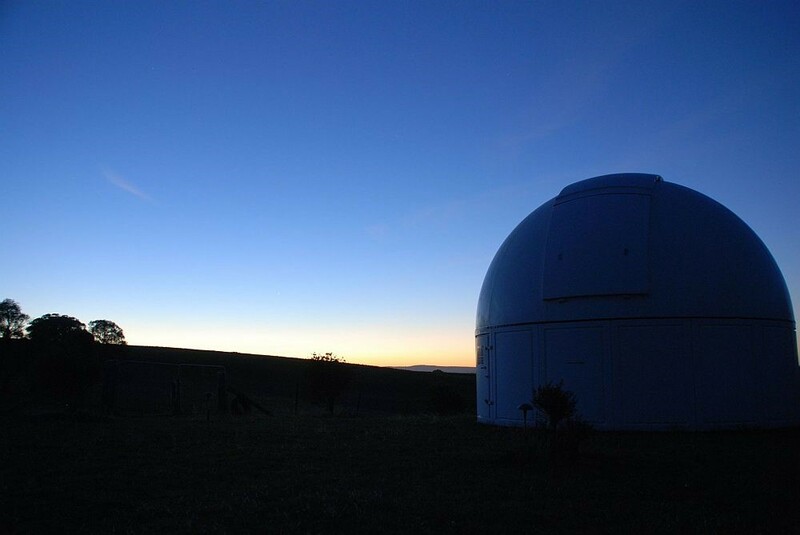 The Observatory consists of a large rotating dome housing a high class 16” ƒ/7 Dobsonian Telescope fitted with a wide range of eyepieces and star charts available for use with the telescope. The ground floor of the Observatory contains basic cooking facilities and limited seating. There is a large cleared area around the base of the Observatory, providing plenty of space for members and visitors to set up their own telescopes. Beginners will need to be accompanied by accredited ASNSW members. Sky tours using the Observatory Telescope start around 1 hour after sunset and usually continue until midnight or later. Staff show visitors any visible planets as well as many deep-sky objects such as galaxies, nebulae and star clusters. Dubbo Observatory is located just behind Taronga Western Plains Zoo. So after a day of watching the animals on Earth, you can head down to the Observatory for a perfect vantage point from which to view the Universe. The night sky and telescope viewing guided tour, has up to 7 telescopes depending on how many people are attending. During the day there are telescopes for daytime solar viewing. You are allowed to take photos using your own camera or on the Astrophotography tour, you can use their ccd camera to take stunning photos, to put on your thumb drive at $120 dollars an hour. Behind the Observatory more intergalactic action can be found on the 18 hole Astro mini golf course designed to take you from the Sun, through the solar system, worm holes, rocket launches and straight into a black hole finish! You can even manoeuvre around in Dr Who’s Tardis! Availability: Open six nights a week but some weeks vary when there is a full moon. Bookings essential. Located at Bathurst Goldfields on Mt Panorama, the site is one of the largest public educational observatories outside Sydney. Located on two sites, one being for research, while the other is for public viewing through telescopes. After the sun has set, the public and astronomers at Bathurst Observatory look to the sky and view through the main optical telescope. If the sky is cloudy, the 200 seat flat screen Space Theatre Planetarium simulates sensational flying tours of the solar system and our galaxy. For the past 17 years the facility has been located on Limekilns Rd but will relocate to Billywillinga. This new site, opening later this year will offer better viewing and better sky opportunities to give a more unique experience to the public. Located just outside the town of Parkes about 380km from Sydney, the Observatory is home to the world famous 64 metres in diameter “Dish”. As the first fully steerable large antenna in the Southern Hemisphere, it is still one of the world’s leading scientific instruments and continues to be at the forefront of discovery sue to the regular upgrades. 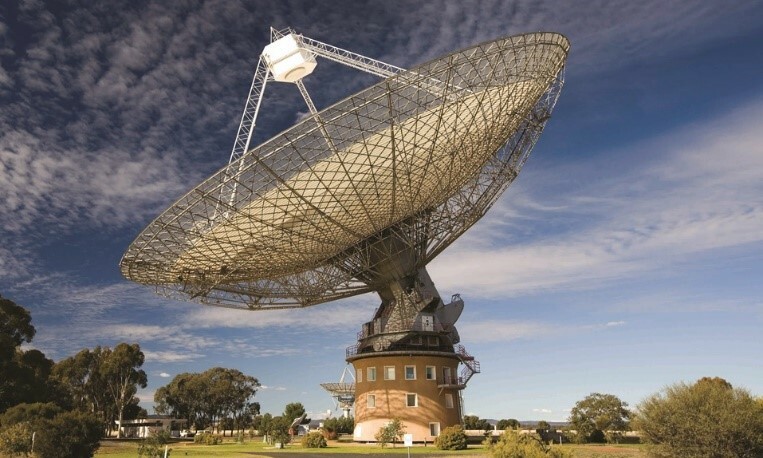 The Parkes Radio Telescope has been the subject of numerous photographs and movies, as well as playing a key role in televising images of the Apollo 11 Moon landing on 20 July 1969. The visitors centre is open seven days a week, giving visitors opportunity to see the “Dish’ and to visit the astronomy and space exhibition which has a range of interactive displays. The 3D theatre gives the opportunity for visitors to experience breath-taking adventures across the Universe.